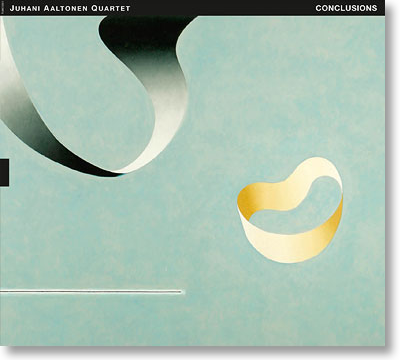 Conclusions can be seen to reflect the long career of the Finnish tenor saxophone giant Juhani Aaltonen through ten new compositions by members of the quartet that also includes pianist/harpist Iro Haarla, bassist Ulf Krokfors and drummer Reino Laine, who are all mature masters in their own right. A staple on the Nordic jazz scene for five decades, Aaltonen was deeply inspired by John Coltrane´s legendary concerts in Helsinki in the early 1960s but has long since developed a sound and concept fully his own. With the recently formed Juhani Aaltonen Quartet, Aaltonen has re-connected with musicians representing a link to different phases in his career. On Conclusions, Aaltonen takes stock of his musical past. Although his music moves to a new, more reflective level with this quartet, it still always places a strong accent on free improvisation. The album offers a persuasive argument in support of the contention that Juhani Aaltonen is stronger than ever.